A good part of the afternoon today was spent on the Rickenbacker Causeway that goes out from Miami to Key Biscayne. There is parking right beside the beach. The sea breeze kept us cool. In between telephone meetings I put together a 5 minute video of the Olympic Sailing Trials I attended on the committee boat a couple of weeks ago. 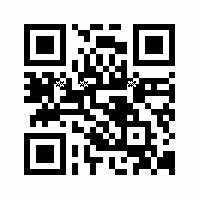 Check it out on YouTube or use your smartphone with the QR Code below.